If you have any event coming up anytime soon, we can help you make the most of it. 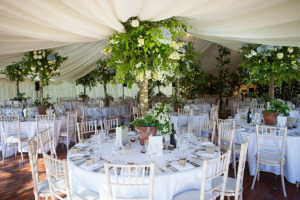 Whether you are planning a small garden party or a large wedding, our tents are a perfect fit for the occasion. Our marquee & tent hire services in Kensington stock a large variety of tents in different sizes and shapes. You can therefore be sure to find something that will be suitable for your occasion. Our Cape Town tent rental company also offers delivery and installation services. If you need ta tent at short notice you can give us a call and we are sure we can help. With our tent hire Kensington team you do not have to worry about a thing. From lighting and décor to dance floors and linen, we will make your event look truly special. If you are planning a product expo or craft exhibition then our stylish & modern gazebos will be perfect for you. Or perhaps you’d like to dazzle your guests with one of our elegant Bedouin stretch tents? Whatever you have in mind, call us today and allow one of specialists to give you the advice you need. Call now on 021 300 3641!